Your Pensacola Chiropractor is providing quality chiropractic care in Pensacola, Florida. Do you have pain from an auto accident? Have you been injured in an auto accident? Your Pensacola Chiropractor has received advanced training and is certified by the Spine Research Institute of San Diego in the treatment of whiplash and brain injury traumatology caused by auto accidents. At Your Pensacola Chiropractor each patient is treated like an individual. Our treatment plans are built around the unique circumstances of each patient. At Gilmore Chiropractic, we aim to deliver tailored solutions and take the time to understand our patient’s needs and circumstances. We will provide you with the quality care you deserve. 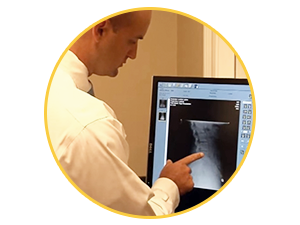 Whether it is providing an onsite fully digital X-Ray machine to aid in your evaluation or creating treatment plans tailored to each individual patient, Your Pensacola Chiropractor will provide you with the best quality care. Dr. J. Blake Gilmore was born and raised in Pensacola, FL. He received a Bachelor of Science in Biology from Florida State University. After seeing the benefits of chiropractic first hand, Dr. Gilmore decided he wanted to become a chiropractor. He went on to Southern California University of Health Sciences, where he earned his Doctor of Chiropractic Degree. 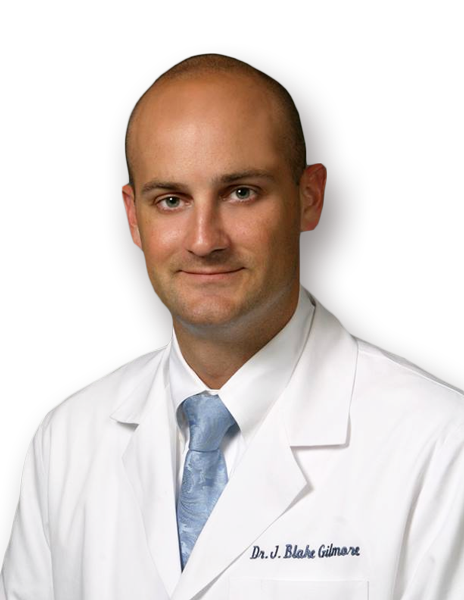 After practicing chiropractic in Southern California, Dr. Gilmore returned home to Pensacola and opened Gilmore Chiropractic. 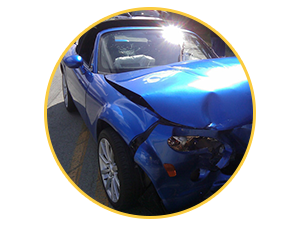 He has also received specialty training in the treatment of patients who have been in auto accidents. Under Dr. Gilmore’s supervision and chiropractic care, many Pensacola patients report higher functioning in all areas of their lives. 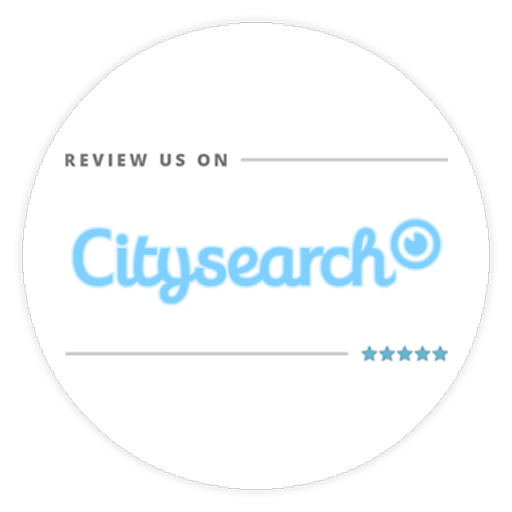 We're Proudly a 5-Star Rated Chiropractor Serving Pensacola Florida! "Dr. Gilmore is without a doubt the best I have ever been treated by!" "Dr. Gilmore is the best chiropractor... I always leave the office feeling better"
"my chronic issues are a thing of the past." "Dr. Gilmore is an amazing chiropractor. He does a fantastic job!" "Dr. Gilmore and his staff have done amazing things in helping me recover from my injuries"
Pensacola’s #1 Chiropractor on RateMDs in 2018 and 2019!